questions about their Championship Seasons. Pictured here 2017 AHSAA State Champion Coaches at last years convention…. Partner with the ALABCA by sponsoring a table or individual ticket at their First Pitch Dinner & Silent Auction. 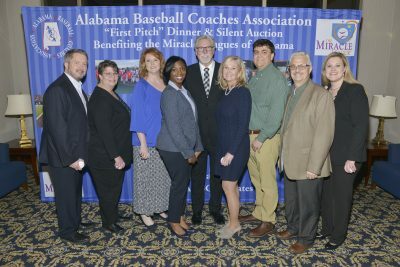 Proceeds from the dinner go to the 15 Miracle Leagues located throughout the state of Alabama. 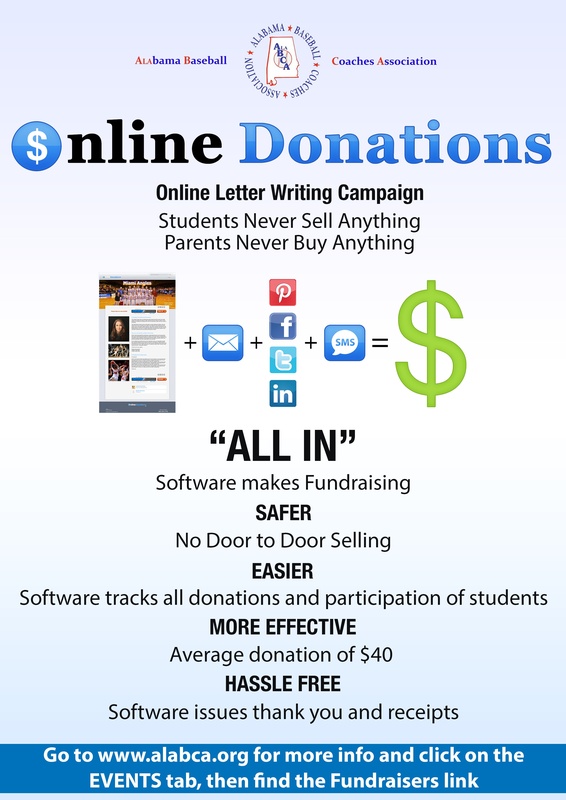 Click Here for more info…. 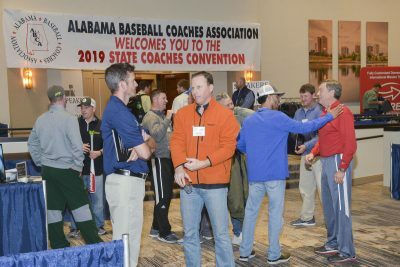 like Dan Heefner, Dallas Baptist Head Coach, who spoke at the 2018 Convention. 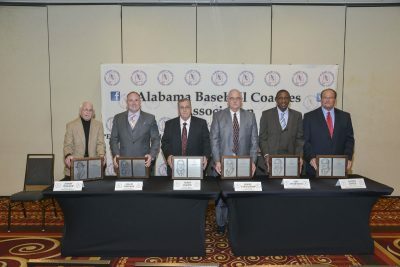 and Donate New Baseball Equipment to all 15 Miracle Leagues of Alabama. Former Atlanta Brave Great Dale Murphy, 2018 First Pitch Dinner VIP Guest, pictured here with Prattville Adult and Children Miracle Leaguers…. live by April 15. Coaches will be emailed. * Must be chosen from a Regional Workout. * Must be selected from the June 11 – 13 All-Star Event.